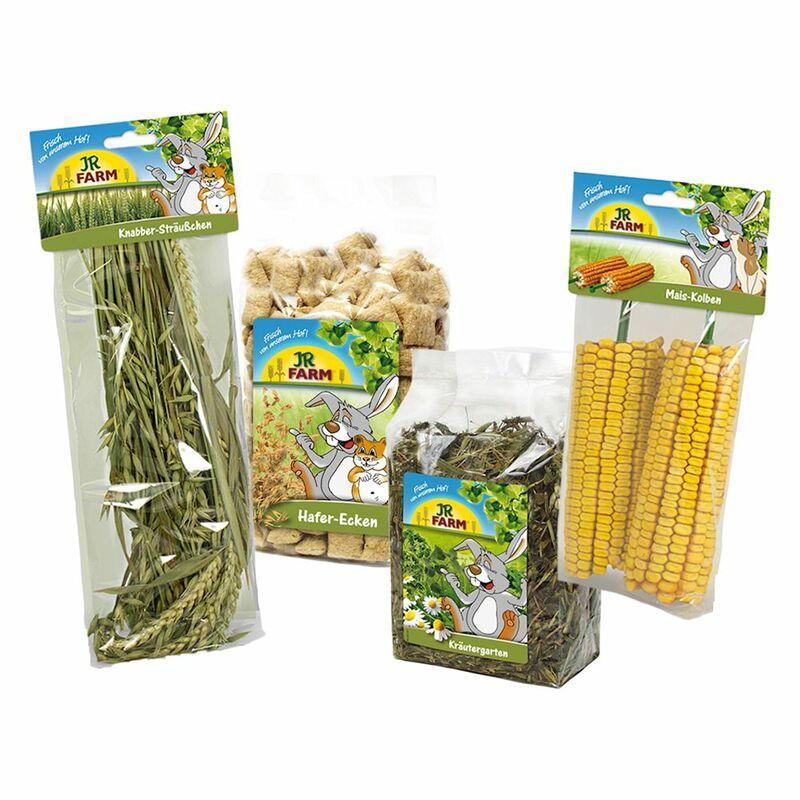 As a tasty change to everyday dry and green food, almost any small animal is sure to love this selection of natural snacks from JR Farm. Wide variety, super-tasty! You can spoil your pet with the following treats: 2 natural corn cobs: crispy and hard, help to wear down constantly growing teeth 1 nibble bouquet made of wheat and oat sprays: unproceΒed whole plants, especially rich in raw fibre and important for healthy digestion 50g pine shoots: out of the ordinary - a healthy and delicious change of pace for your small pet 100g oat corners: light and fluffy baked pillows made of oats and malt - a favourite with all small pets.